What do you need to know before you purchase hearing aids? When you first receive confirmation of your hearing loss, it can be a bit of a shock. 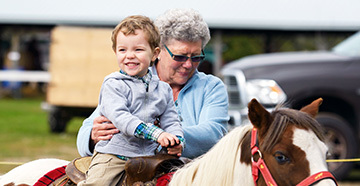 Many people need time to process this information before making the move to hearing aids. What do you need to think about next? Your audiologist will be a good resource for helping you to decide. Do you have questions about your hearing test results? Where in the system is the problem? Could it be ear wax? Is there surgery or medication for this? Why can’t everyone talk like my audiologist (then I wouldn’t need hearing aids)? Do I need hearing aids in both ears? Will this help with my tinnitus? Why do my family and friends always tell me I need hearing aids (I hear when I need to hear)? Ask your audiologist! Keep an open mind about what you will need. A detailed questionnaire is administered by the audiologist to determine what types of hearing help and what level of technology will be most appropriate. What are your goals for hearing aids? Do you need the best possible price or the most appropriate level of amplification? Sometimes those are not always the same thing. 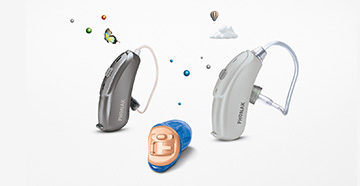 Do you need completely automatic hearing aids or the most economical? Do you have many outdoor activities? Are your listening needs very complex, for example, in meetings, in church, in theaters, and on a cell phone? If so, certain types of aids will be better than others. 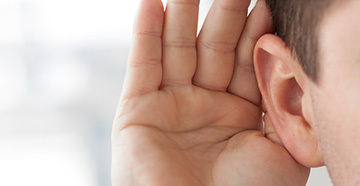 Your audiologist will share with you the latest technology to assist you. Do you and your audiologist make a good team? This is an important decision. You need a person whom you can trust, who is knowledgeable, empathetic, caring, and experienced. Do you feel that you can ask questions? Did anyone you know already visit this audiologist for a personal recommendation? Are your family members welcome at the visits? Ask your audiologist for online resources or written materials to help you with your decision. This can supplement the information you receive during your appointment. Don’t avoid your appointment with the audiologist if you have financial concerns. She will be able to offer guidance in this area as well. You may have an insurance benefit for hearing aids that will partially or completely pay for the devices. Financing options may be available. Some patients are eligible for assistance from private foundations, state agencies, or federal government help. Remember that your audiologist has a wealth of information to share with you. If you have other concerns, don’t be afraid to share them. You are not being judged. Nearly all people that need hearing aids have cosmetic concerns. Others worry what other people will think of them if it is known that they have a hearing loss. Still others are worried about the maintenance and upkeep of hearing aids, thinking that the task may be involved. Many patients see their audiologist only due to family pressure and do not feel they have any hearing loss whatsoever (“It’s just that everyone mumbles!” or “My husband has super-normal hearing so that is why he is bothered by my TV volume.” or “My co-workers talk so low and face away from me. If they didn’t do that…”) These are all very real concerns and can all be discussed with your audiologist.